KALININGRAD, January 28. /TASS/. Pilots of the Baltic Fleet’s fighter aircraft regiment stationed in Russia’s westernmost Kaliningrad Region practiced intercepting air targets and delivering strikes against a notional enemy’s facilities, the Fleet’s press office reported on Monday. "The crews of Su-27 fighter planes performed elements of aerobatic maneuvers and training missions to intercept high-speed targets in the sky over the Kaliningrad Region and practiced measures for the forceful landing of a notional enemy’s aircraft on an aerodrome," the Fleet’s press office said in a press release. Meanwhile, the crews of Su-30SM multirole fighter jets of the Baltic Fleet’s naval aviation practiced delivering simulated air strikes against naval and ground targets at the Fleet’s sea and land ranges. 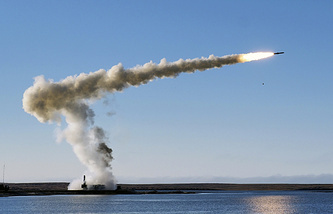 The pilots practiced attacks against the targets simulating a notional enemy’s warships, the Fleet’s press office said. Overall, the drills involved more than ten aircraft of the Baltic Fleet’s naval aviation. The drills follow an incident over the Baltic Sea, in which a Russian Su-27 fighter jet intercepted a US P-8A Poseidon reconnaissance plane, as was reported by Russia’s Defense Ministry on Monday. "A quick reaction alert Su-27 fighter jet from the Air Defense Force was scrambled to intercept the target in the air. The Russian fighter’s crew approached the air object at a safe distance and identified it as a P-8A Poseidon reconnaissance plane of the US Air Force," the ministry noted.